Among a certain demographic of young people in Vancouver, working at a Downtown Eastside homeless shelter or single-room occupancy hotel is a rite of passage. 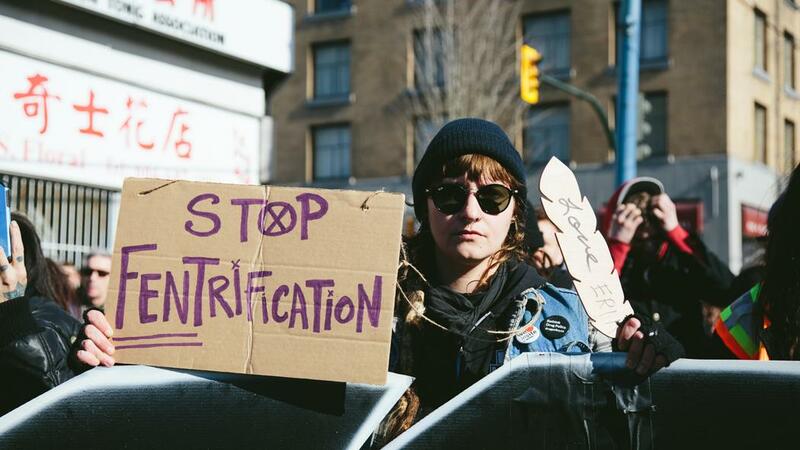 The neighbourhood is home to a world-renowned cluster of anti-poverty and harm reduction organizations that serve some of the country’s poorest and most vulnerable people. As we already know from more than a year of terrifying headlines, that not-small vulnerable population is dealing with a relentless epidemic of overdose deaths. With that disproportionately high number of overdoses, made worse by the spread of black market fentanyl and other synthetic opioids, has come a wave of burnout among young support workers. And while some of the neighbourhood’s non-profit service providers have moved to bring in counsellor-facilitated meetings since deaths spiked in November 2016, and at least one is planning to roll out new supports in coming weeks, some employees feel those moves are coming after too much damage has already been done. Marny* is a community support worker in a Downtown Eastside shelter run by one of the major non-profits. Every day she is dealing with crises, running bathroom checks every five minutes to make sure nobody has gone down. She’s been working in the field on and off for most of her twenties, and says she’s reached the point of burnout a couple times over the last year. Earlier this year the City of Vancouver approved $2.2 million in funding to provide counselling and mental health training for firefighters, police and paramedics employed by the city. The money also goes toward a new community policing centre, and a mobile clinic at the city’s Downtown Eastside fire hall. Marny has worked both as a casual and full-time support worker. She says those in more precarious entry-level jobs have a harder time finding the right kinds of support, and sometimes need to pay quite a bit just to access benefits. She says overdose response resources are uneven among different non-profits, which can lead to a sense of unease and anxiety when emergencies do happen. Marny says it’s not uncommon to hear of fellow frontline workers bailing halfway through a graveyard shift without warning. “Which is super dangerous because that’s when staffing is at its minimum,” she said. Many of the Downtown Eastside service providers like Raincity Housing and Portland Hotel Society are unionized and have access to benefits, even for casual workers. PHS’s Andy Bond told VICE their organization authorizes more counselling sessions when something traumatic happens on site. “If someone unfortunately finds a body, we’ll contact the manager of that building, and a discussion happens next, [deciding] whether that employee would like to go home or not,” he said. Bond says that frontline workers aren’t forced to go home if they don’t want to. Managers are expected to check in the next day, and workers are given numbers to call to book time with a counsellor. When a close client died, Marny told VICE that the supports on offer at the time didn’t work for her. She was offered an immediate conversation with BC victims services, but turned it down. “I was in shock and I didn’t really have anything to say at the time.” She later tried a counselling session, but left feeling that her psychological wound was opened further. Blyth and Marny say one key to preventing burnout is regular communication between staff and management. Since November, Portland, Atira, and Rain City Housing have partnered on some bi-weekly discussions facilitated by a counsellor. For Marny, the one group session she attended was “just not helpful.” She said it came too late after the November spike, though she hopes future sessions will become more focused. Dealing with trauma and burnout and trying to navigate supports all at once, Marny says that some days a feeling of hopelessness sets in. “All you’re doing at the end of the month is a body count,” she said. Gym membership is one of the newest editions to some non-profit’s burnout-fighting programs. Bond told VICE that preliminary emails have already gone out, and that they’ll be rolling out those programs soon. He said funders at BC Housing and the City of Vancouver have been receptive to their proposals for more support. Some individuals and organizations are more overwhelmed than others. Blyth says that all organizations working in harm reduction have to be flexible and give young people more options. To aid that, Bond said Portland will soon be making a proposal to hire more relief workers. “We want more staff, and when we raised that last week with funders, they were receptive,” he said.